It seems that Microsoft has finally realized their defeat in the cut throat mobile handsets business. In a major announcement, Microsoft has said that around 6% of their workforce or 7800 employees would be terminated. Besides, they are writing off $7.8 billion which they spent on acquiring Nokia in 2013. Writing off is a strategy used by companies when the book value of their assets drops below the market value. In their next financial statement (for the quarter ending June 30th), this $7.8 billion writing off will appear as a loss to the company. But considering that they only paid $1.5 billion in cash for the Nokia acquisition, majority of this write-off would be appear as cash-less. Out of the 7800 terminated employees, almost everyone is from their phone business; these are the employees which Microsoft inherited from Nokia’s acquisition. Out of 7800, 80% are located in Finland and Brazil, while the rest would be from their San Diego US and the rest of world. It is not yet clear as to how many employees in India would be fired. Around $750-800 million would be spent on compensations for the fired employees. This decision is a clear indication that Microsoft has admitted their multi-billion dollar blunder of acquiring Nokia, when Steve Ballmer had announced this decision as a “bold step into the future”. As per insiders, Satya Nadella was against the deal, but after he became CEO of Microsoft, he quickly stepped into rectifying the blunder. Last year, when Microsoft announced terminating of 18,000 employees, it was considered as a step towards the same direction; as 12,500 out of 18,000 were from Nokia division itself. Now, after this recent announcement of firing 7,800 employees, they are now left with only 6000 original Nokia employees who had joined them after the acquisition. This step is a clear indication that Microsoft will not push for their Windows based mobile phone business, but rather concentrate on building an eco-system of their application and hardware. As of now, Windows based phones account for only 3% of global market, and their market share is not showing any signs of improvement in near future with Android and iOS firmly establishing their presence. Mapping and Advertisements are the other areas where Microsoft can be looking seriously, but they are ofcourse second priority now. 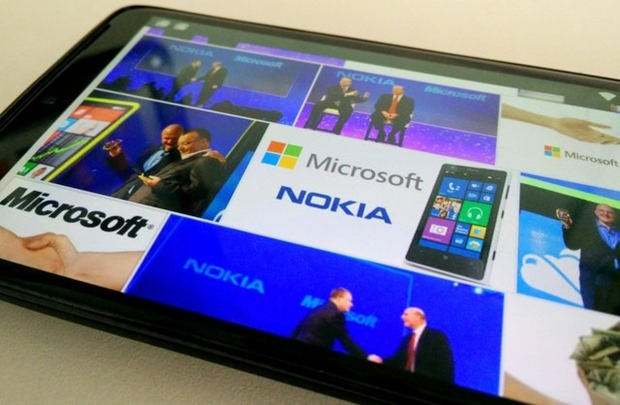 Microsoft had bought Nokia for giving a push for their handset business, as Nokia were their strongest ally in manufacturing Windows OS devices. During that time, it was rumored that Nokia can join hands with Android, and Microsoft wanted to stop that at any cost. But now they have slowly but gradually accepted the market realities; and most probably made a wise decision. In coming days, we may just see the final nails on the coffin of Windows OS based smartphones. Truecaller Launches Truemessenger To Fight Spam SMSes; Can It Replace Native SMS App on Android? In my opinion Microsoft needs/should employ ad campaign with the windows phone. I own one and love it ! But I think that most people are just not aware of the windows OS..